A few years ago we had the pleasure to cast and work with New York-based model Fiona Hillery. She responded to our casting call in New York City while living in Rhode Island. Her portfolio was perfect and her audition was one of the best I’ve seen. Graduating with High Honors with a Bachelor’s degree in Marketing from Providence College in Rhode Island, her written and oral communication skills are impeccable and show an upbringing of hard work surrounded by books and intellectual discipline, not to mention an uncanny knowledge of politics, history and a contagious sense of humor. We invited her to Montreal to work in our project then travelled together to the Big Apple and after a few 20-hour days of hard work we parted ways only to remain in touch via social media. Just a few months later my Facebook timeline showed her getting a fantastic position with The History Channel. A year passed by and she was working for AMC Networks. Then a year later Endemol Shine Group, always moving forward. 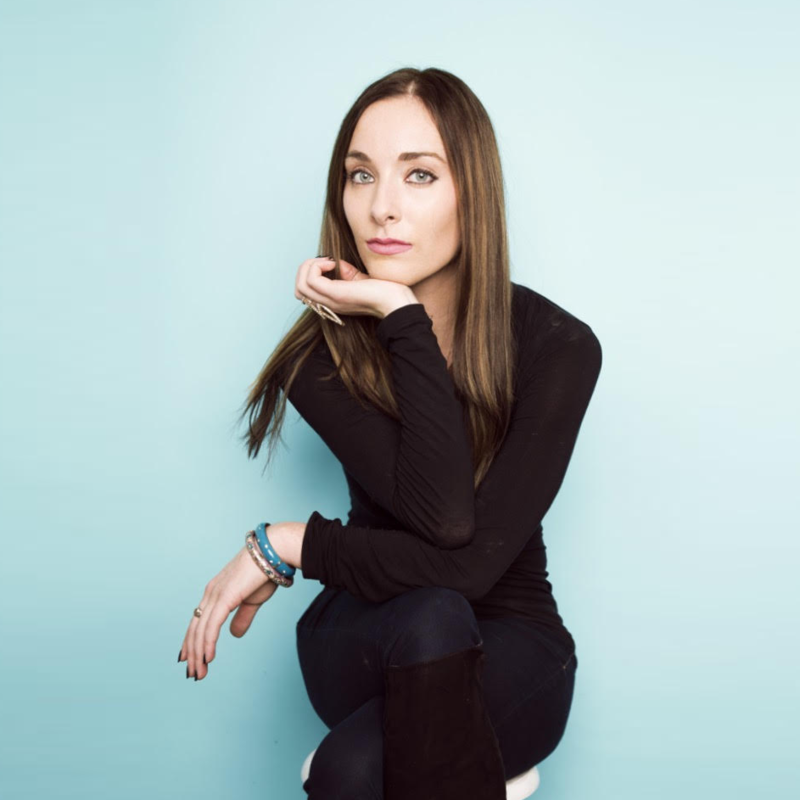 In 2015 she took another step to work with Refinery29, a “company focused on women” which works alongside Facebook to provide live entertainment video content. There, her hard work has brought her to lead that very initiative as Director of Video Content Strategy. I’d be remiss if I didn’t say my mother. Moving to a different country to start a life, raising three children at a young age while balancing a career and staying in shape to run competitively is beyond my comprehension. True meaning of a superwoman and has always brought out creative qualities in me that inspire my work. I have many but recently I’ve been channeling my inner Tina Fey. Her perseverance and work ethic powering through a male-dominated entertainment industry is so commendable, and she continues to pave the way bridging Hollywood’s gender gap while making us smile. The hardest challenge you’ve overcome? Learning how to balance a demanding career, fitness/health, social life, and finding time to stay mentally sane when you’re only given 24 hours in a day. It’s a continuing work in progress! What was the best and worst of the modelling world? What I loved most about modelling was the creative expression. Models are chameleons and need to pull from different skill-sets like acting, emotional intelligence, and body awareness in order to create the physical art photographers capture. Seeing magic happen when I ‘clicked’ with a photographer always gave me a jolt of adrenaline. The “worst part” is a tricky question and most likely varies from model to model, depending on their situation. It goes without saying that there’s an expiration for the majority of models’ careers, unless you’re Giselle. Living in New York, it was difficult to create the steady stream of income necessary to pay monthly rent, especially when the nature of modelling lends itself to “net 90” payments. Essentially, you could be working every day for weeks and not receive cash until months later. That unpredictable structure makes it difficult to plan ahead and I know many full-time, successful models who still struggle with this reality. Your first thought when you arrived to NYC? “Hello home!” I knew from the get-go New York would steal my heart, but I wasn’t fully prepared for the ‘initiation’ I received, with Hurricane Sandy hitting only three days after I moved in! Really was a true testament to how badly I wanted to stay. What does it mean to be healthy for you? Feeling strong consistently, both mentally and physically. How do you stay healthy? What’s your workout routine? I find I’m at my healthiest when I am consciously committing to healthy habits like sleeping 8 hours, exercising daily, reading books, and taking time to meditate. Maintaining health and fitness is easier said than done in New York, when you’re being pulled in so many directions, but I’ve learned to make time in my day specifically to dedicate to health. It improves my overall performance in the long run. You can NEVER drink too much… Water! What do you love and what do you hate of the city? Both difficult questions! Love, because where do I start? New Yorkers themselves are lovable. The drive and ambition powering this city is completely palpable, and everyone has a fascinating backstory. New Yorkers get a bad rep for being jaded, but I’d argue to say the overexposure lends itself to creating a culture that’s extremely accepting and forward thinking, especially when it comes to diversity and LGBTQ rights. Hate is such a strong word, but as populated as New York is, it can sometimes feel lonely, and I don’t enjoy that part. What would you tell to the world right now? Smile more- it’s contagious and releases endorphins! What would you tell 10 year old Fiona if you had a chance? Everything is temporary. Your biggest concerns at 10 years old can be solved the same way as your biggest problems at 27, with a few deep breaths and the mantra that everything works out the way it should in the end. Fiona joins Fitinyourdress.com as contributor for our Transformational Content Team to talk about her life as a model and her experiences in the corporate world and entertainment industry. She will tell us about her favourite places in New York, tips on switching careers, climbing the ranks of corporate america, on dating in the Big Apple and much much more. We’re proud to have her in our team! Welcome Fiona! Love it! Thank you Fiona for the inspiration!